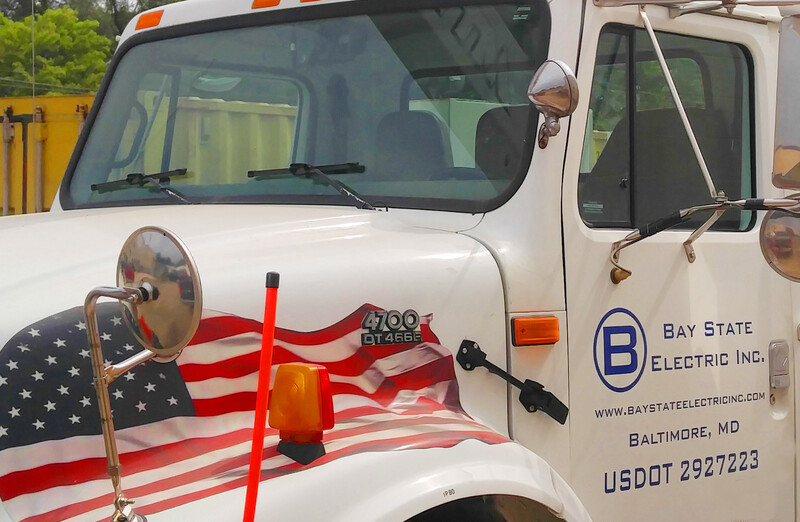 Electrician Commercial Bucket Truck | Bay State Electric, Inc.
As a Commercial Electrician in central Maryland we can offer more affordable prices because of our process improvements. Our investment into speicalized equipment and training allows us to offer a more complete selection of commercial services. 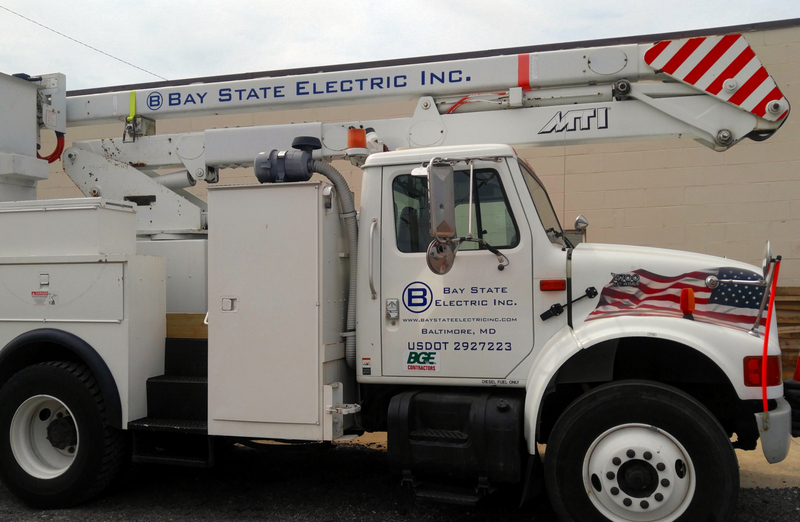 When lights or lines are high it’s not a problem with our 50 foot bucket truck. We can respond quickly and at a more affordable price than many commercial electricians in Maryland. We do not have to pass on truck rental fees and we do not have to wait for a rental truck to be available. Whether you are looking for service on parking lot lights, pole lights, LED light retro fitting or Exterior building lighting, sensors and lines we can respond quickly and offer greater value.